The 1989 and 1990 Barolos and Barbarescos are among the most monumental wines ever made in any region. I have always had an affinity for these wines, as they were among the first important bottles I purchased for my own cellar. Originally I envisioned a small report covering the best-known wines, but the article grew larger and larger as my tastings increased in frequency and depth. Along the way I was helped by a number of people who deserve special thanks. First and foremost to Robert Parker who suggested this article and opened a good number of bottles from his own cellar; to my dear friend Rino Fontana, the world’s foremost expert on the great, traditionally-made wines of Piedmont, for supplying a range of wines; to my New York City and Italy-based tasting groups for giving me the opportunity to taste, re-taste and taste again; and lastly to my wife Marzia and my son Giulio for their unending support. The 1989 vintage is universally recognized as one of the great all-time harvests in Piedmont. The wines are rich, structured, complex and just starting to come around. The year started with a wet, cool spring that led to an irregular flowering and crop set. Green harvesting was not widely practiced in Piedmont in the late 1980s, but in 1989 Mother Nature took care of things by reducing yields. The summer was warm, which allowed for optimal ripening. 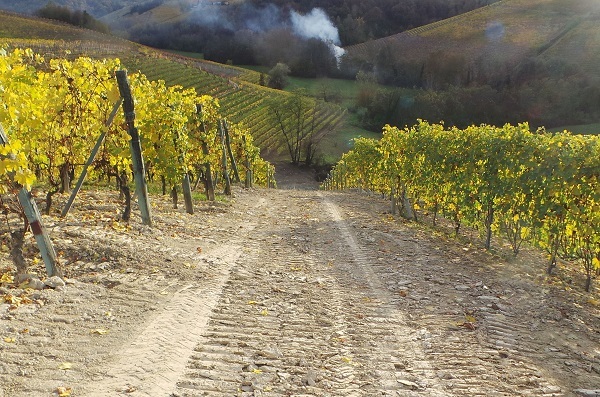 Evening temperatures dropped towards the end of the growing season, creating the wide temperature fluctuations between day and night in which Nebbiolo thrives, setting the stage for a late harvest. The wines are characterized by intense color, powerful structure, relatively high acidity, expressive aromatics, beautifully pure fruit and fine, chiseled personalities. Piedmont fans define 1989 as a ‘classic’ vintage, along with other late-harvest years that produced powerful wines, including 1978, 1982, 1996, 1999 and 2001. Vintage 1990 could not have been more different. It is also a more controversial vintage, as the hot weather yielded wines with a level of sheer ripeness and opulence never seen before in Piedmont. While 1990 is not usually considered ‘classic’, it is without question one of the finest vintages of the last half century. The winter was unusually warm. Flowering and crop set were much more even than in 1989, and consequently yields were quite a bit higher. Hot temperatures continued throughout the year all the way to the harvest, which was early by the standards of the time. The 1990s are opulent, fat wines blessed with generous fruit. Because evening temperatures in the late summer and early fall remained high, the 1990s don’t have the level of aromatic complexity of the 1989s. On the plus side, however, the 1990s are much more even across the board in terms of quality, even if very few wines hit the peaks of the most sublime 1989s. The lower acidity of the 1990s made the wines easy to grasp from the outset, while the 1989s were harder to appreciate in their youth. In many ways, 1990 is the vintage that brought Piedmont onto the world stage because for the first time the wines appealed to a broader public. At the time, many observers believed the 1990s would not age well because the acidities were low (in relative terms – Nebbiolo almost always has significant acidity), but the best 1990s have aged spectacularly well and have also provided consumers with much broader drinking windows throughout the years. Piedmont connoisseurs define 1990 as a hot vintage, along with years such as 1985, 1997, 1998 and 2000. It is worth noting that while 1990 (and 1985, too) was considered a warm vintage at the time, today these growing conditions are closer to the norm. 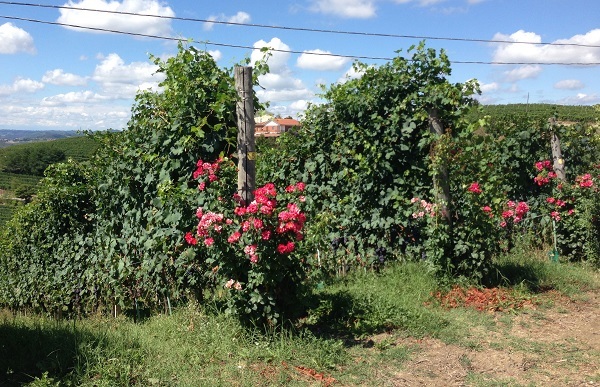 The late 1980s and early 1990s also represent an inflection point in Piedmontese winemaking. A number of young growers began estate-bottling wines for the first time. 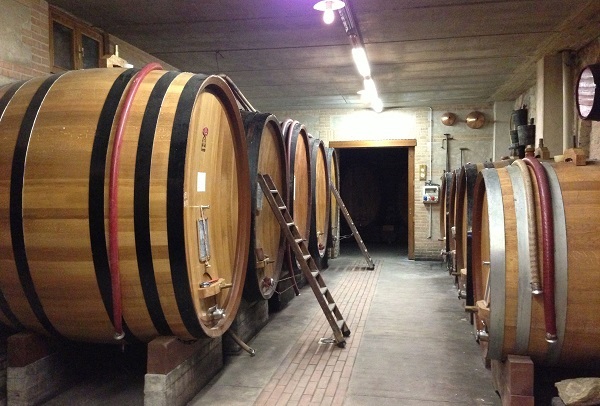 Many of these new producers followed the modern school of winemaking in Piedmont which sought to lower yields, reduce fermentation times and use French oak for the malolactic fermentation and aging, which was shortened to the minimum required by law, all designed to make Barolo darker in color, softer in texture, more appealing to a wider public upon release. The traditional producers, on the other hand, believed in low but not excessively low yields, long fermentation times, natural malolactic fermentations and lengthy aging in large neutral oak, all of which yielded firm wines that needed many years in bottle to come around. Of course there were many more subtleties involved, but the above is a good general description of the two approaches in broad terms. Both schools shared a philosophy of harvesting physiologically ripe fruit, non-interventionalist winemaking (although what constitutes ‘non-interventionalist’ is hard to define) and no or minimal fining and filtration. Today, fifteen years after the 1989s and 1990s were originally released it is fascinating to see how the wines have developed. It is clear that producers from both schools did exceptionally well in 1989 and 1990. Nevertheless, as general rule of thumb for these two vintages, the overwhelming evidence suggests that traditionally minded producers did better in 1989 than 1990 while the opposite is true of the modernists, whose 1990s as a group are more successful than their 1989s, almost as if the styles of the vintages aligned with the styles of the producers themselves. In recent years, modern and traditional styles have largely converged, but twenty years ago the two approaches were distinctly different, something that can be seen most clearly in the wines of producers who were transitioning to a more modern approach while these wines were being made. A few additional points are also worth considering. Most of the best wines in both vintages were made by experienced producers. In looking at the growers of the modern school and their largely successful 1990s, it is virtually impossible to know how much of that success was the result of an additional year of experience – which was critical for the vast majority of growers who were just starting out – or if the ripe, rich year yielded a type of fruit that was intrinsically better suited to handle the French oak many young producers were experimenting with at the time. Lastly, one subject that is hardly ever discussed in conversations of modern and traditional producers is the quality of the vineyards themselves. 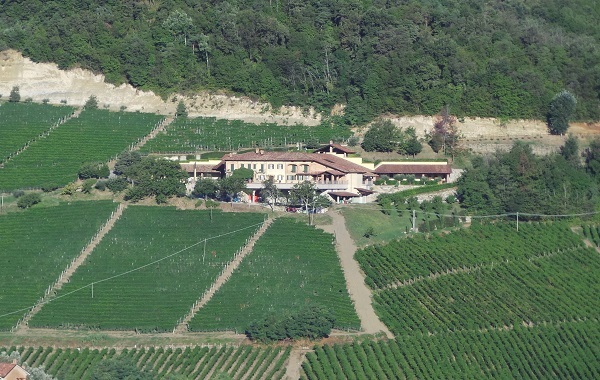 Most of Piedmont’s greatest sites were, and still are, owned by traditionally minded producers, which – if one believes that site is critical – means that those growers had an enormous advantage from the start. I tasted the majority of the wines in this article during a visit to Piedmont in November 2009, and followed by subsequent tastings in the US in December and January 2010. In order to allow for the natural bottle variation that is to be expected with 20-year old wines, I tasted many of the wines more than once (some of them much more than once), and my notes reflect a sum of those experiences. I have also noted instances where I found significant variation between different bottles of the same wine. Prices are the original release prices. In the few cases where I tasted from large formats I have listed prices for standard 750-ml bottles. I have done my best to provide readers with first-hand, reference-quality information taken from numerous producer interviews to go along with tastings notes and scores, but I would remiss if I didn’t mention a few caveats you should keep in mind. Because most of these wines were tasted at the estates, provenance was as perfect as one can reasonably hope for in an imperfect world. I imagine readers will be tempted to look for many of these magical wines in the marketplace. The unfortunate reality is that when the 1989 and 1990 Barolos and Barbarescos were released Italian wines were not widely considered true ‘collectibles’ on the level with the most renowned wines from Bordeaux, Burgundy and California. As a result, very few importers, distributors, retailers and consumers stored the wines with the level of care they deserved. Take it from someone with the battle scars to prove it, trying to find well-stored bottles of these wines today can be a very frustrating and costly experience. My advice is to buy Barolo and Barbaresco on release and store bottles in a cold cellar. While that won’t satisfy the urge for a great 1989 or 1990 today, it will insure optimal drinking in the future. Given today’s economic climate, there has never been a better time to build a collection of fine Barolo and Barbaresco. A few wines were tasted from magnum, a format that clearly benefits long-lived wines. It is a reasonable expectation that standard bottles of the same wines will be more forward in their development, which can be favorable or less favorable depending on your point of view and time horizon. Editor's Note: this article was originally published in February 2010.